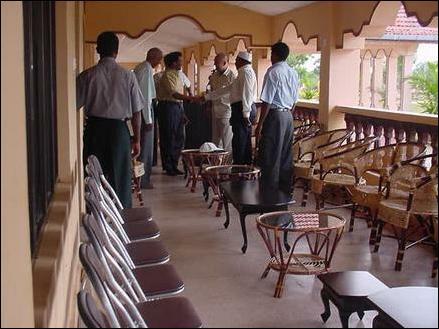 Mr. Moulana held a discussion Sunday with the LTTE at the ‘Thenaham’ guest house, in Karadiyanaru in the LTTE-controlled area of Batticaloa, where on behalf of the LTTE, Batticaloa-Ampara district special commander Mr. T. Ramesh, commander Mr. Prabha and Rehabilitation coordinator Mr. Thurai participated, LTTE sources said. 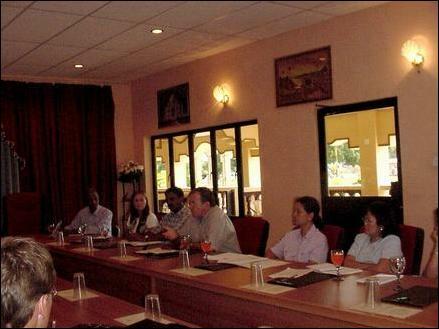 Meanwhile, on Saturday, representatives of the North East Community Restoration and Development (NECORD) Project held a meeting with the LTTE, also at Thenaham. 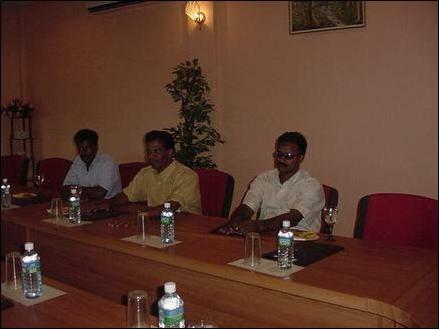 Commander Ramesh, Commander Prabha, Mr. Thurai and Mr. Varathan, who is in charge of Education for the LTTE participated at the meeting, LTTE sources said. The NECORD representatives told the LTTE that a major portion of the funds committed at the Tokyo conference would be used for the rehabilitation fo the North-East, the sources said. Mr. Alisahir Moulana, Advisor to the Policy Planning and Implementation Ministry of Sri Lanka, meeting LTTE representatives at Thenaham. Photos: Ravi. 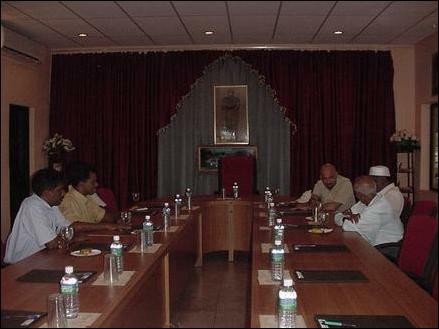 NECORD representatives meeting LTTE commanders at Thenaham in Karadiyanaru.